Judicaël Perroy has become widely known as an extraordinary virtuoso classical guitarist and musician with several prizes to his credit. In 1997 he captured the prestigious first prize of the 15th Guitar Foundation of America International Competition and Convention awarding him tour of the United States and Canada with more than sixty concerts and master classes. In between his North American tour that year, he gave several concerts in France where his performances were broadcast live on France-Musique followed by extensive recital tours throughout the world. Highly sought after and in great demand as a teacher, he is regularly invited to give master classes at many of the top conservatories and universities in the United States and abroad. Mr. Perroy’s students have won several top prizes in regional, national and international competitions including Guitar Foundation of America, while emerging as mature and upcoming rising stars of classical guitar and international music scene. Mr. Perroy is currently the Professor at the Ecole Nationale de Musique d’Aulnay-sous-Bois a position which he has held since 2004. He holds the Certificate of Aptitude (CA), and has taught at the Ecole Nationale de Musique Blanc-Mesnil from 1995 to 2004. Furthermore, in winter of 2000, he was the chosen substitute for the chair of guitar department, Steven Robinson, at Stetson University. During his GFA victory tour Mel Bay Publications recorded and published his live concert in Lubbock (Texas). Following his GFA victory tour, a CD recording entitled “Aspen Suite” as well as his earlier CD recording on the French label QUANTUM received high praise and won 5 Diapasons, awarded by Diapason Magazine and was subsequently re-released on Bayard Musique recording label in 2008. He has recorded two new CDs for the collection of Bayard Musique Meditation including a Disc with flutist Florence Bellon and another with harpist Joanna Kozielska. More recently, he recorded an all Bach CD for Naxos label which includes an impressive and unprecedented performance of Bach’s second keyboard partita transcription on the classical guitar. Born in 1973 in Paris, he began playing the guitar at age 7 attending the Conservatoire Municipal Inter-districts of Paris. He studied with Delia Estrada and Raymond Gratien at the Ecole Nationale d’Aulnay-sous-Bois where he graduated with honors. At age 11, he performed as soloist in two concertos by Vivaldi with Ensemble Instrumental du Mans, under the direction of André Girard and continued his musical studies with Roberto Aussel and Daniel Lavialle. At 14, he won second prize at the International guitar competition of Ile de France. In 1992, he won the grand prize and audience prize at the 15th Concours international de guitare René Bartoli by unanimous jury decision. In 1994, he received Licence de Concert from Ecole Normale de Musique in Paris from Alberto Ponce’s class and later that year he was awarded the 1st prize at the 7th International Competition of Bourg-Madame where the final vote was by the general public without any jury. In 1996, he was the first prize winner of his graduating class at the National Conservatory of Music and Dance in Paris (Paris Conservatoire). 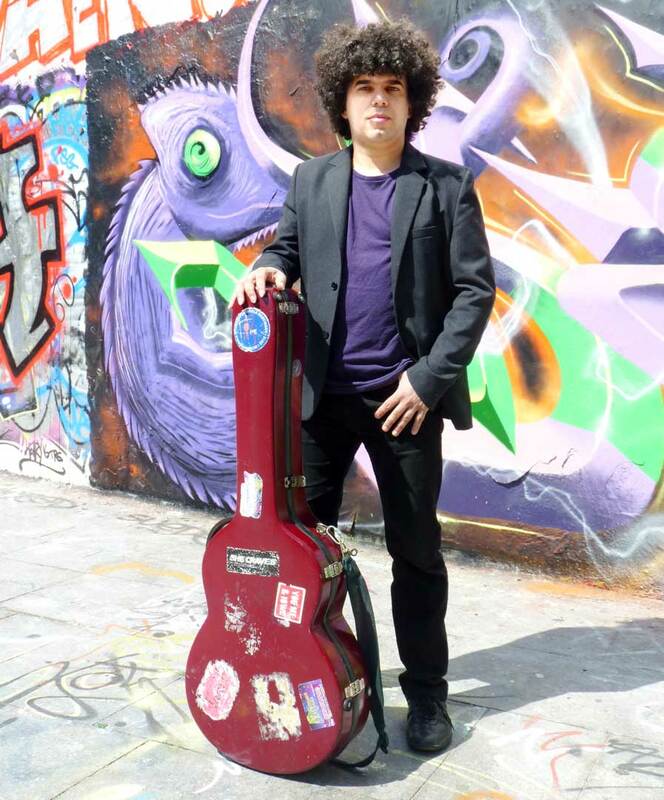 He currently resides in Paris while he enjoys teaching at the Pôle Sup’ 93, Lille’s APPSEA (Association de préfiguration du Pôle supérieur d’enseignements artistiques) Nord-Pas-de-Calais and the Ecole Nationale de Musique d’Aulnay-sous-Bois a position he has held since 2004 while traveling and concertizing around the world.